Pick one system today to implement and add to your business. When a client or prospect reaches out, be sure to listen. It sounds simple but is so often overlooked. Delegate to trusted staff and vendors to free up your own time for going above and beyond. How many times a week do you ask this question to your clients: Would you recommend us to your co-workers, family or friends? You will know the answer by how well you have created a world-class experience for your customer. 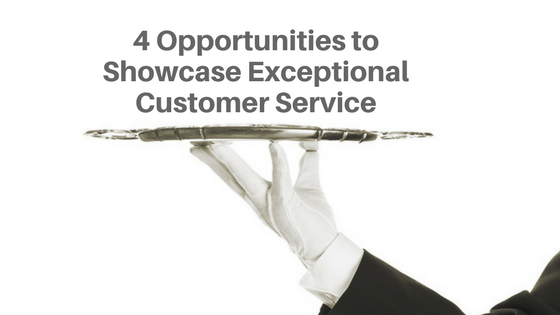 Like most things in business, exceptional customer service starts with great systems. Implement these strategies to create an experience that is not only remembered by your clients but is also talked about among their friends consistently. Pick one system today to implement and add to your business. Ask around to other top agents. What’s one system you have in place to ensure you deliver an amazing experience for your clients? Remember not to bite off more than you can chew. Pick one and implement. Then once that habit and system is in place, choose another. A simple one that I heard about recently is a real estate agent who takes the time every day to call all of his clients and personally wish them a happy birthday. Does this take a lot of time? Yes. Will they ever forget that call? No. An easy way to do this is just go to Facebook and pull a list of your friends who have birthdays for the week. Put time on your schedule to call them. It’s simple but very effective. Listen attentively, and ask great questions to understand what your customers really want. Set proper expectations on the front-end. So many times improper expectations cause tremendous amounts of hassle and worry for your clients later in the process. Use one of the most important rules of customer service — underpromise and overdeliver. Leverage your staff and allied resources. Think about it. You can’t provide the great service of 15-plus different companies that are involved in the transaction. However, if you treat them as an extension of your team, they will go above and beyond to impress your clients. One important caveat is to properly vet your vendors and allied resources. Don’t let one of your trusted service providers create a bad customer service experience for your customers. Remember: it almost always will fall back to you if you are the one who referred them. Empower clients to utilize your company and staff so that you can focus on serving them at the highest level. Many salespeople make the mistake of wanting to handle every part of the transaction so that they can provide the best customer service possible. This is contradictory though. The ideal way to provide the best customer service is to delegate to trusted staff and vendors. Create memorable experiences for your clients. My guess is that every transaction has three to five opportunities for you to go above and beyond. Ask yourself, “What more can I do?” Don’t settle for average. Do more than expected, and leave a lasting impression. This will turn your average clients into raving fans.